Blogger’s Note—This is the fourth edition of the Martin Luther King Reading & Reference List. There are three additions for 2011. While it is always instructive to watch a rebroadcast or listen to a recording of the I Have A Dream speech, there is a next level for someone who wants to better understand Martin Luther King and his message. 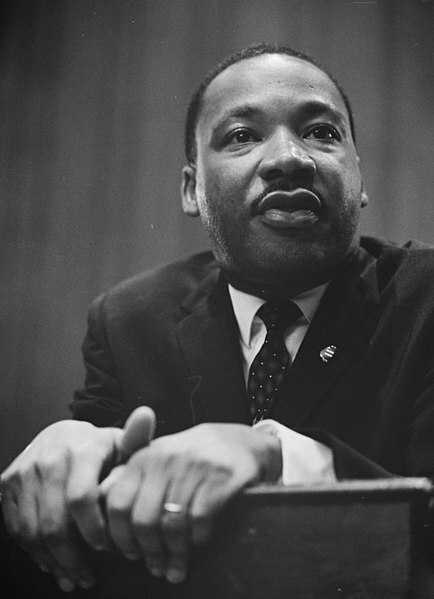 Reverend King asked serious questions about America as a war criminal nation in Vietnam. He asked if America merited divine judgement as a wicked nation of racism and social inequality. These questions are as relevant as ever as America is engaged in endless war and as income inequality grows. It is within your power to bring about a better world. You have the ability to understand complex things. 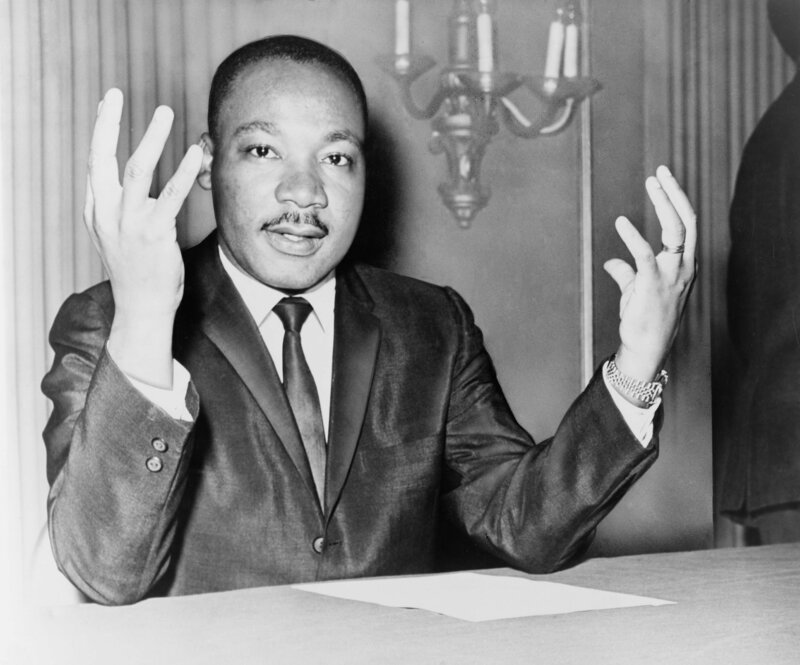 Learn about what a true prophet of justice Martin Luther King was in our society. After you learn more about Dr. King, take action yourself toaddress the great pressing social problems of American life, and to address conditions in our world as a whole. An excellent book is Martin & Malcolm & America—A Dream Or A Nightmare by James H. Cone. This book follows the words and the careers of both these men. The premiseof the book, which holds up in the telling, is that Dr. King and Malcolm X were not as far apart as often portrayed. 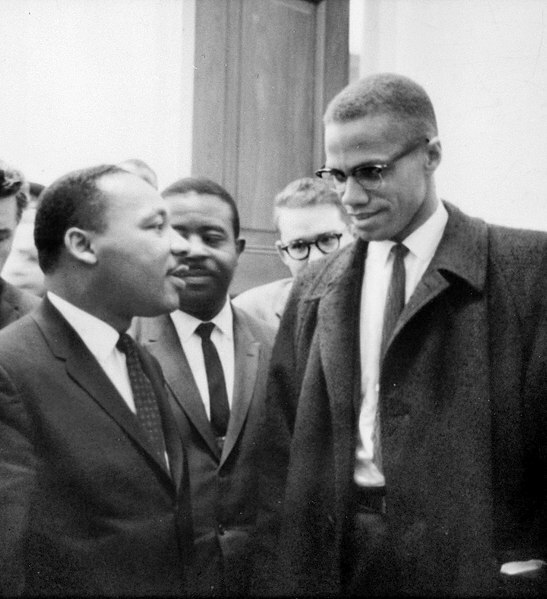 Malcolm was a man with a broader vision than one of simple racial solidarity, and King was in many respects a fierce and almost apocalyptic critic of America. I’m glad to say I bought my copy of Cone’s book at the Martin Luther King Jr. National Historic Site in Atlanta, Georgia. This site is operated by theNational Park Service. You can tour Martin Luther King’s boyhood home at this location. 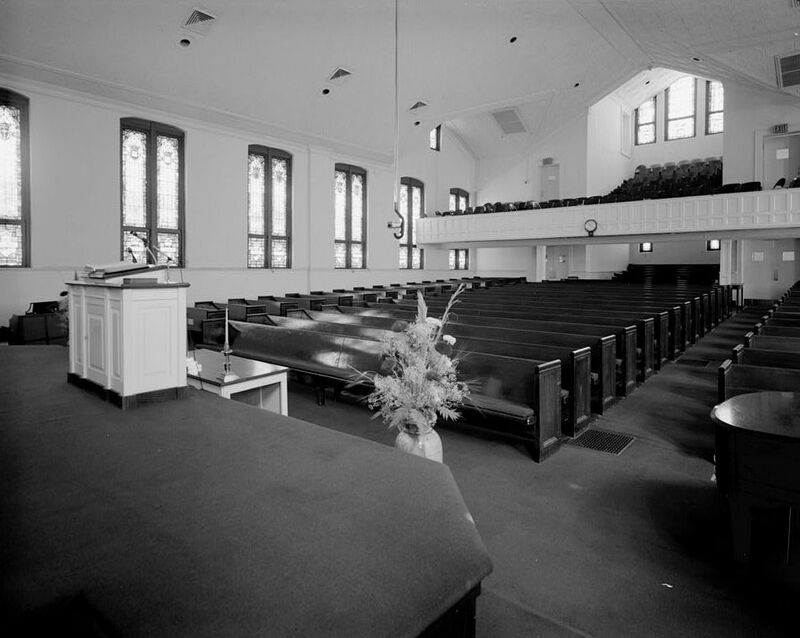 You’ll also want to tour the Auburn Avenue Historic District around the King home. 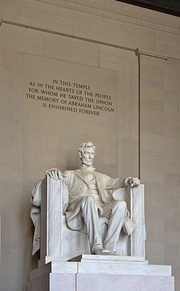 In Washington, when you visit the Lincoln Memorial (photo below), you can find a small marker indicating the exact spot where Rev. King made the “Dream” speech. It is a good place to stand. The best one volume work on King’s life is David Garrow’s Bearing The Cross—Martin Luther King, Jr. and the Southern Christian Leadership Conference. Bearing The Cross was the 1987 Pulitzer Prize winner for biography. You can’t help but feel the deep-sea like pressure on Dr. King in the final years of his life. I wondered if towards the end of his life King felt death would be the only true escape from the exhaustion, the misunderstandings and the conflicts. An interesting DVD is King–Man Of Peace In A Time Of War. Much of the hour long presentation is a rehash of King biography. What makes this special is a roughly 15 minute interview Dr. King did with afternoon television host Mike Douglas. Mr. Douglas asked tough questions about Dr. King’s stance against the Vietnam War and about the effect of that opposition on the Civil Rights movement. Dr. King is calm, cool and collected. You could see how King was a leader who could speak anywhere and to anyone. A solid explanation of Reverend King’s theology and a good analysis on the failure of Southern segregationists to mount an even more aggressive opposition to the Civil Rights Movement, can be found in A Stone Of Hope—Prophetic Religion And The Death Of Jim Crow by David L. Chappell. A Testament Of Hope—The Essential Writings And Speeches Of Martin Luther King, Jr is needed for a complete King library. In honesty though, I’ve always found this book to be sprawling and without clear focus. It consists of King sermons, some interviews and excerpts from his books. You need to have it on your shelf, but there are more concise ways to get at the “essential” King. A quality children’s book on King is Martin’s Big Words by Doreen Rappaport. The writing in this book is clear and concise and respectful of the intellect of children. It’s a great introduction to King and a gateway to further studies by young people. A comprehensive examination of King’s radical views on economic questions can be found in From Civil Rights to Human Rights—Martin Luther King, Jr., and the Struggle for Economic Justice by Thomas F. Jackson. King had leanings towards forms of socialism and came to see the fight for fair wages as an essential element in the fight for full human rights. It should not be forgotten that King died in Memphis fighting for striking sanitation workers. Beacon Publishing in Boston has re-released two titles written by King. The books are available in both paperback and hardcover and are attractively presented. Stride Toward Freedom–The Montgomery Story. Where Do We Go From Here–Chaos Or Community? Construction has begun in Washington of a King Memorial on the National Mall. The project is scheduled to be completed in 2011. The Memorial has a web home. At this site, you can find a video of what the memorial will look like and a history of the project. King–-The Photobiography Of Martin Luther King, Jr by Charles Johnson and Bob Adelman is a top-notch photo record of the life of Rev. King. It’s necessary that you read Dr King’s words and understand what he was saying. It also has great value to see King as he battled the Southern sheriffs and as he marched with the people. Powerful Days—The Civil Rights Photography of Charles Moore helps place Dr. King in context as part of a much larger movement. We can’t forget that the Civil rights movement was, when all was said and done, led by average Americans who demanded that our nation finally live up to its founding ideas. Going Down Jericho Road–The Memphis Strike, Martin Luther King’s Last Campaign by Michael Honey reminds us that King died in Memphis fighting for the rights and wages of city sanitation workers. As I write this in early 2011, public employees are being blamed by some for the economic hard times we are facing. Don’t be tricked. Public employees are our fellow working people and Martin Luther King gave his life to make sure that they would be treated with dignity and respect. There are three reference sources on Dr. King that stand out as best. Strength To Love is the best collection King sermons. It is a concise manageable book. You can cram it in your back pocket or in your purse. ( A larger purse at least.) I think you could read nothing but this one 158 page book, and know everything you need to know about Martin Luther King. The audio collection of King’s sermons called A Knock At Midnight might change your life. Stick the CD’s in your car stereo or listen to them at home and you’ll hear King just as he was—Mighty and frail at the same time. I’ve listened to the sermons on Knock many times and they never get old. You can’t help but learn something or see an old question a new way each time you listen. The definitive books on Martin Luther King’s life and the Civil Rights era are found in Taylor Branch’s three-volume America In The King Years series. These three books are the Pulitzer Prize winning Parting The Waters 1954-1963, Pillar Of Fire 1963-1965, and At Canaan’s Edge, 1965-1968. These books stand not only at the top of King biography, they stand as great examples of American biography. The picture of Dr. King is complete. You get the good and the bad. There will be times you’ll shake your head and ask yourself how Rev. King could have said that or done that. 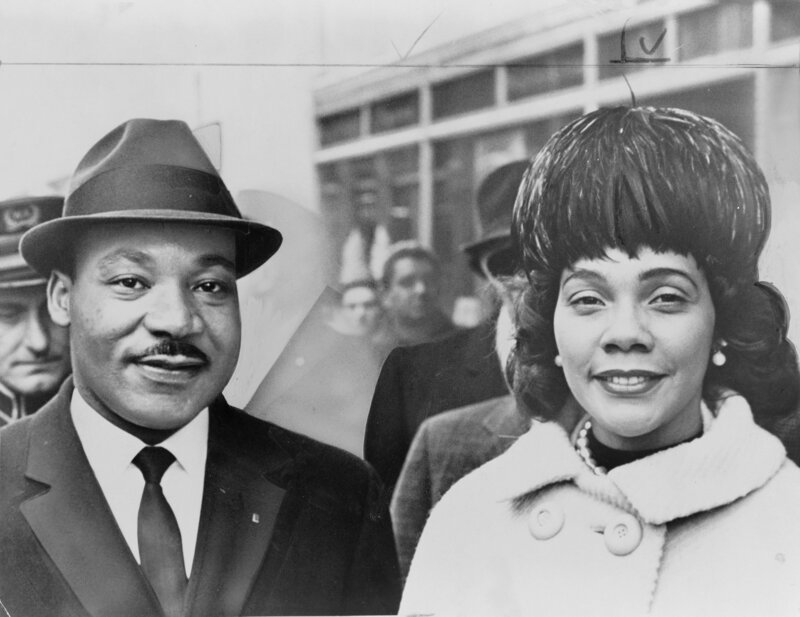 You’ll also see how brave King was and how brave the Civil Rights marchers and protesters were. You’ll get a clear sense of the obstacles faced not just from whites, but from status quo blacks as well. Mr. Branch offers a great deal of context for King’s life and experiences. He provides full portraits of other great Civil Rights leaders. I can’t recommend all three volumes strongly enough. Read them and you’ll be an expert. January 5, 2011 - Posted by	Neil Aquino | Uncategorized	| A Knock At Midnight, A Stone Of Hope, A Testament Of Hope, At Canaan's Edge, Atlanta, Auburn Avenue Historic District, Beacon Publishing, Bearing The Cross, Bob Adelman, Books, Charles Johnson, Charles Moore, Coretta Scott King, David Chappell, David Garrow, Doreen Rappaport, Ebenezer Baptist Church, From Civil Rights To Human Rights, Going Down Jericho Road, James Cone, King--The Photobiography Of Martin Luther King Jr., Lincoln Memorial, Malcolm X, Malcom & Martin, Martin & Malcolm & America, Martin Luther King, Martin Luther King Jr Research And Education Institute, Martin Luther King National Memorial, Martin's Big Words, Michael Honey, Mike Douglas, Parting The Waters, Pillar Of Fire, Powerful Days--The CiVil Rights Photobiography Of Charles Moore, Stanford University, Strength To Love, Stride Towards Freedom, Taylor Branch, Thomas F. Jackson, Washington, Where Do We Go From Here? Its me again. I’m so lucky. I was an activist in the 60’s. Against the Vietnam war, brothers/neighbors there. I was fortunate enough to be at MLK’s I Have A Dream Speech, stood rignt in front of the Washington Monument, crowd packed,and was there for our first Black American Presidents speech. My grandkids think that is cool. Me too. Ms. Radford— I think you are cool as well. Thanks for the favor you me by reading and supporting my blog.